We’re Your New and Used Car Financing Experts! 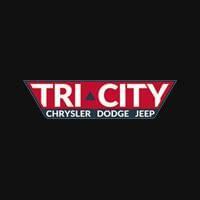 Drivers from Greensboro, Kernersville and Danville, VA come to Tri-City Chrysler Dodge Jeep Ram for more than our great selection of cars. Our experienced and friendly finance team knows that taking out a car loan can be stressful. Relax! If you need a new Chrysler, Dodge, Jeep and RAM lease near Danville, VA or a used car loan to drive your new Jeep home to Kernersville, NC we’ll handle the paperwork and get you in your chosen vehicle as quickly as possible. We’re just a short drive from either location, just south of the Virginia and North Carolina border. Both new Dodge, Chrysler, Jeep, RAM leases and used car loans can be applied for online. Is it time for a car loan in the Eden area? Then come on down to 833 S Van Buren Road, or give us a call to discuss all your auto finance needs.